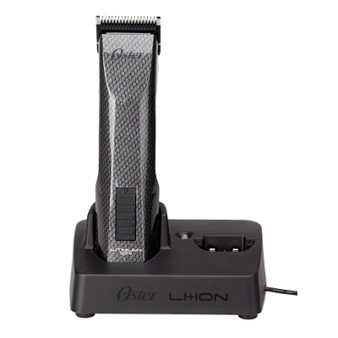 This cordless clipper uses a Li-ION rechargeable battery for longer cutting time with more than twice the running time of a regular battery. It holds steady power for as long as the battery runs without torque reduction in the motor for cut after cut on any hair type. With a dual battery charging base, you can always have an optional back-up charged and ready to go. Protective Coating™ blades in sizes 000 and 1 are included along with blade guard, cleaning accessories and 1 rechargeable battery.